The purpose of this study was to determine whether there is a relationship between religiosity and Islamic work ethic. The initial assumption is proposed in this study is that there is a positive relationship between religiosity and Islamic work ethic.Subjects in the study is a lecturer at the Faculty of Islamic Theology and Islamic Thought UIN Raden Fatah Palembang as many as 36 people. This study uses a scale of adaptation and modification by the Islamic Work Ethics Scale Zimbalist (2014) based on the characteristics of Islamic work ethic in Tasmara (2010), as well as by Khotimah Religiosity Scale (2013) based on the dimensions of religiosity by Ancok & Suroso (2008); Nashori & Mucharam (2002). The questionnaire used consisted of parts of the statement, bio and two scales of measurement Scale of Islamic Work Ethics and Religiosity Scale.The results of the computer analysis of research data using SPSS version 17.0 for Windows, showed general correlation coefficient (R) of 0.711 with p = 0.000 (p <0.01). This shows that there is a relationship between religiosity and Islamic work ethics lecturer. Also found there is a correlation between religiosity and religious dimension, the dimension of appreciation, and the dimensions of practice with Islamic work ethic. In addition, this study also found that there was no connection between religiosity dimension with the knowledge dimension aqidah and Islamic work ethic. 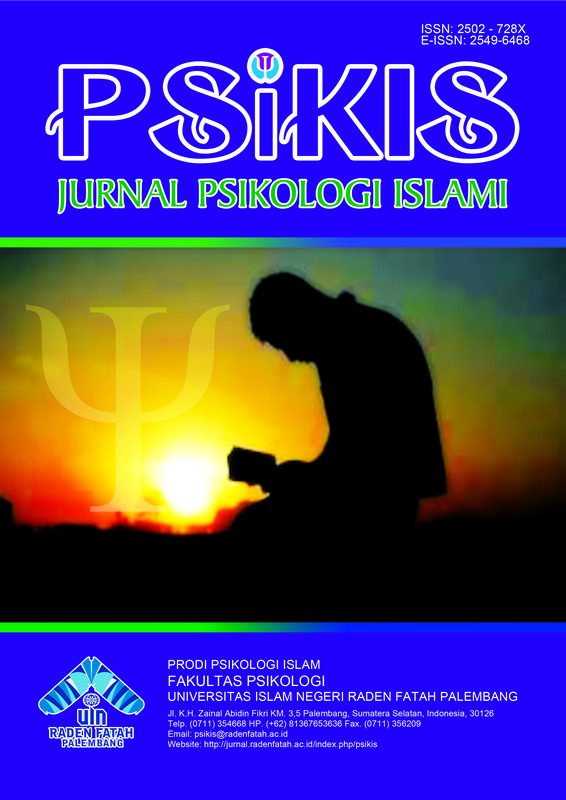 Psikis: Jurnal Psikologi Islami by http://jurnal.radenfatah.ac.id/index.php/psikis is licensed under a Lisensi Creative Commons Atribusi-BerbagiSerupa 4.0 Internasional.